While most people have to wait for the first snowfall to enjoy winter sports, those of us lucky enough to live in Korea do not. 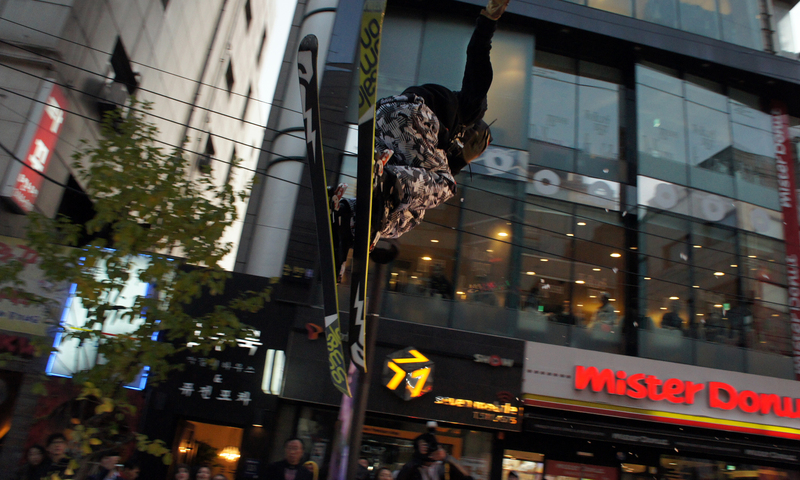 Not only can you enjoy ski and snowboarding demos and competitions in Korea, but right here in Seoul on the of fashion paved streets of Rodeo in 압구정 (Apgujeong). 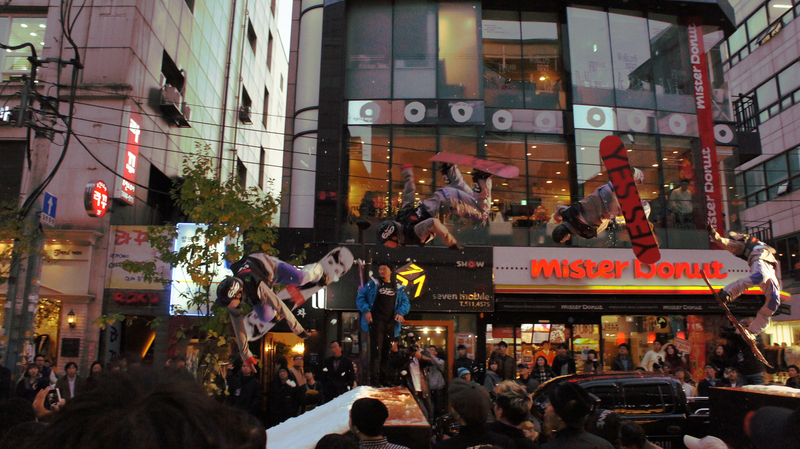 Nike and Monster are hosting “Winter Jam Seoul” from the 19th-20th. If you didn’t have a chance to catch it on Saturday you should really check it out today between 1-6pm. You can see some pretty impressive tricks on the pikes and of course entertaining wipe outs. It’s also a really great photo opportunity for all you picture taking fanatics like me. So, if you’ve got some time to spare swing by and enjoy the winter festivities and don’t forget to bring your camera! 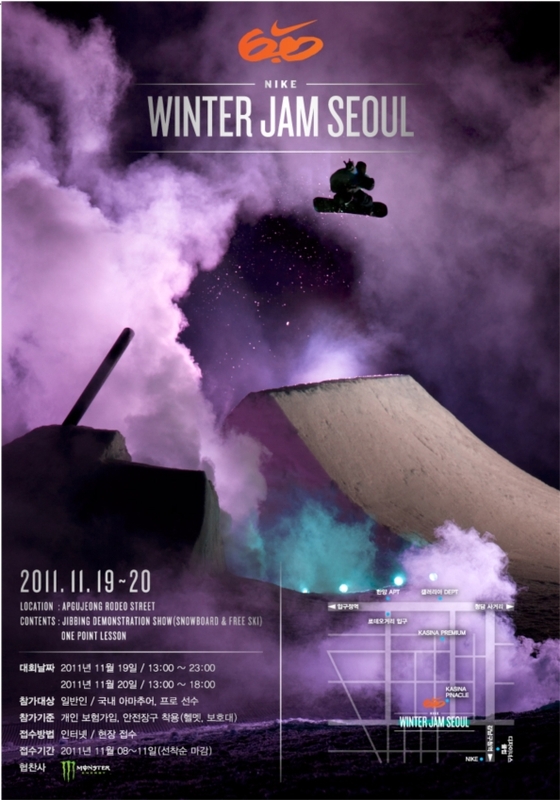 Tags: Culture, Events in Seoul, Nike Winter Jam Seoul, Photography, Skiing in Seoul, Snowboarding in Apgujeong, Snowboarding in Seoul, travel, travelling in Korea, Winter Jam Seoul 2011. Bookmark the permalink. wow you caught the picture at the perfect moment on that first one 🙂 nice!